After almost 10 years of gaining extensive experience in the corporate world, Founder and Creativity Director, Vivian Belzaguy, decided to offer her talents to a wider array of clients through freelance marketing consulting and graphic design. Demand quickly required her to expand the service offering by joining forces with trusted industry experts, so Idea Garden was born in 2009. 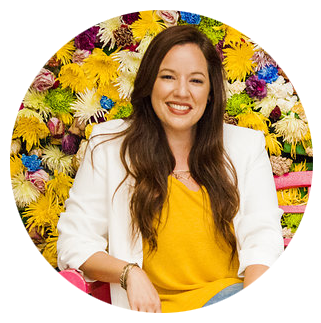 With a Bachelors of Science in Business Administration and over 16 years of experience in Marketing, Vivian now specializes in marketing strategy and art direction, overseeing all client relationships and projects executed by the company. She also assembles and manages custom teams for each project, calling on talented individuals best fit for each client's unique needs. Along the way, Idea Garden has served a variety of clients, from small businesses to award-winning restaurants and big name hotel brands. Our roots in the hospitality industry have branched into so many more, from technology and non-profit organizations to event production and sponsorships, and we look forward to continuing to grow with every new client. You can read about our new-found love for event sustainability on the blog, too. … and many more. Contact us for a custom portfolio. While our main office and focus may be in sunny Miami, Florida, our work has reached across and beyond the country. Our domestic projects have spanned from New York to San Francisco and many places in between. Our international clients stretch from Costa Rica to London. Thanks to technology (and many frequent flier miles) our office knows no geographical limits. From a new company’s first “meeting of the minds” to its latest social post – we believe that the messages we convey as a business define who we are, what we stand for and where we are going. For a business looking to grow, we know communication is everything. That's why the idea behind our strategy is to breathe new life into the way our clients communicate with their audiences - both verbally and visually. We also believe in the importance of delivering everything we promise, when we promise and how we promise, all while enjoying the work we do and making sure our clients enjoy it too. What we don't believe in are marketing programs that eat up too much of the profit line - that's counterproductive. We provide only the services clients need, at fair and affordable prices.